If you are considering the right deployment model for your contact center, economic guidelines can help you choose the solution that is best for your company. Cloud, on-premises or hybrid. 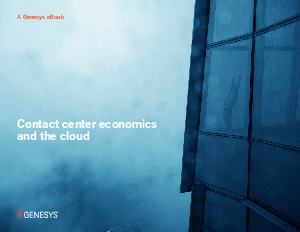 Just a few years ago, businesses were still unsure of the viability of moving their contact centers and other critical enterprise systems to the cloud. Since then, with the decrease of cloud costs, and the corresponding increase in security and, the viability and total cost of ownership of cloud deployments are attracting more and more companies.